Residence Sottovento price per day from € 99 . 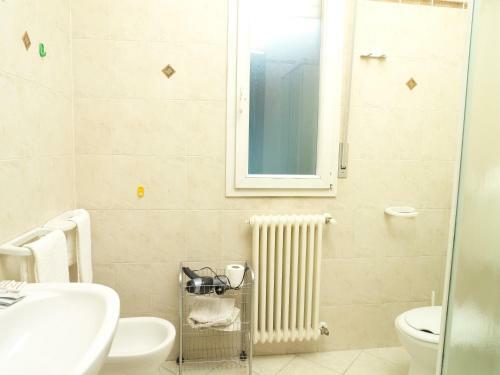 Residence A-More price per day from € 59 . Princier Fine Resort & SPA price per day from € 108 . Residence Eurogarden price per day from € 70 . Residence Algarve price per day from € 61 . Camping Maximum price per day from € 80 . 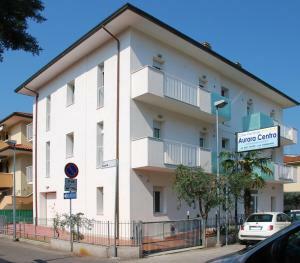 Casa Vacanze Aurora Centro . Card International Hotel price per day from € 53 . 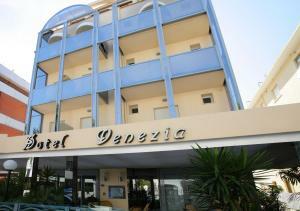 Patrizia & Residenza Hotel Resort price per day from € 68 . 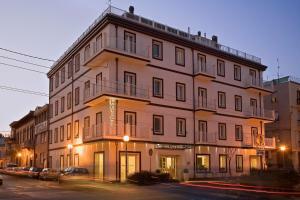 Hotel Sporting price per day from € 62 . Rimini is a town of 146,606 citizens in the Emilia-Romagna area of Italy, situated on the Adriatic Sea, on the shoreline between the rivers Marecchia and Ausa. Rimini nowadays is a booming, dynamic holiday spot on the Italian Riviera, among the most popular beachfront holiday spots in this part of Europe. It is Italy's largest seaside resort and it is extremely popular throughout Europe, with 15 kilometres of beaches along with hundreds of night clubs, bars, dining establishments and cocktail lounges. This is a location where the Italians head for their beach and summer vacation, and for that reason the food is great together with the hosts being pleasant and informative. There are a number of big adventure parks around Rimini, which present fantastic days outside for the entire family. Additional traveler attractions consist of grand castles, outstanding cultural structures and elegantly renovated churches. Named "La Marina", the beach is without a doubt the top reason why thousands of tourists visits Rimini every summer. Of course, there is an old town of Rimini, however it is usually overlooked by the majority of visitors even though its significant old and cultural value with important buildings originating from the Roman and middle ages period. Rimini is among the biggest holiday spots of its type in the world, because of an incredible 15-km / 9-miles of sandy beaches. In top summer months, the beach can get quite bustling. The practically countless rows of sun umbrellas rented to guests during the course of top summer months create an unbelievable view. Nevertheless, during the course of early spring, it's possible to practically have the entire beach to yourself. Whilst it could be way too early to take pleasure in ideal sunbathing climate conditions, it's the perfect location to take a walk and inhale the fresh sea air. Tempio Malatestiano: The authentic 13th century cathedral of San Francesco, was initially built in Gothic design, but was enhanced into a Renaissance stlye by the Florentine designer Leon Battista Alberti. The Domus of the Surgeon a remarkable archeological location chronicling 20 hundred of years of Rimini past. The Federico Fellini Museum is situated inside Rimini's historical center and is well-known by both Italian guests and international guests as well. This particular exhibition includes anything associated with the fantastic film director's life and profession, from the first days of Federico Fellini to his biggest masterworks, including things like five Oscars. The Federico Fellini Museum accomodate frequent expositions of illustrations, photos and sketches. The Town Museum is placed in a prior abbey and 40 rooms loadeded with much more than 1500 items. The archaeology part concentrates on Roman items and the Pinacoteca has Italian artworks from the 11th to 20th century. Tiberius Bridge: This bridge of the Marecchia River, known in Roman times as the Ariminus, was constructed under Dictator Augustus in 14 AD, as the engraving on the internal parapets reminds, and finished under Tiberius in 21. The bridge continue to link the town center to Borgo San Giuliano and heads to the consular roads Via Emilia and Via Popilia that lead north. Delfinario Rimini - Situated beside the main beach, guests can take pleasure in dolphin shows, along with a little marine life museum, and an aquarium with an range of beautiful sea living things. Travelers to this region can enjoy practically any sporting activity. Around Rimini, it is very easy to discover grounds and courts for tennis, beach volleyball, football and vast range of sea sports. For biking and trekking fans, the Rimini Riviera is a true haven: the paths of the seaside plain at some point come to be, by turns, slopes and descents as they coast the gently-rolling mountains, going through charming landscapes - perfect for trekking and biking tourism. Similar tourist destinations in Italy: Milan, Venice. 2. Keep left at the fork, follow signs for A13ologna/Padova/SS309/Ravenna. 3. At the roundabout, take the 1st exit onto the A57 ramp to Milanoologna. Partial toll road. 6. Take the exit toward Padova Zona Ind. Toll road. 9. Take exit Rimini Sud toward Strada Statale 72 Consolare Rimini S. Marino/SS72. Toll road. 10. Keep left at the fork to continue toward Strada Statale 72 Consolare Rimini S. Marino/SS72. Toll road. 11. Keep right at the fork, follow signs for Rimini/Marina Centro/Coriano/Verucchio/S. Leo and merge onto Strada Statale 72 Consolare Rimini S. Marino/SS72. Partial toll road. 12. Turn left onto SS16. 13. At the roundabout, take the 1st exit onto Via della Fiera. 14. At the roundabout, take the 3rd exit onto Via Panzini. Go through 1 roundabout. 15. Turn right onto Via Covignano. 16. Continue onto Via Aurelio Saffi. 17. Turn left. Destination will be on the right. Beach 129 Riccione, 6.9 km from the centre of town of Rimini. 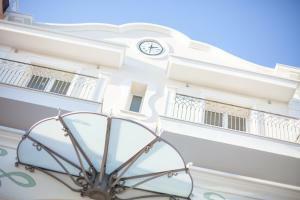 Marano Beach 135-136, Riccione, 6.9 km from the centre of town of Rimini. Beach Del Cuore 110, Riccione, 7.9 km from the centre of town of Rimini. Beach Playa del Sol, Riccione, 7.9 km from the centre of town of Rimini. Beach Le Palme 88-89, Riccione, 8.9 km from the centre of town of Rimini. Aquarium Oltremare, Riccione, 9.8 km from the centre of town of Rimini. Water park Aquafan, Riccione, 10.2 km from the centre of town of Rimini. Ski resort Monte Nerone, altitude: 1290m. 57 km from town of Rimini. Ski resort Monte Catria, altitude: 450m. 67 km from town of Rimini. Ski resort Folgaria - Lavarone - Fiorentini, number of ski pistes: 37. 83 km from town of Rimini.